 Welcome to Giacomo’s Blog @ Kinetic River! 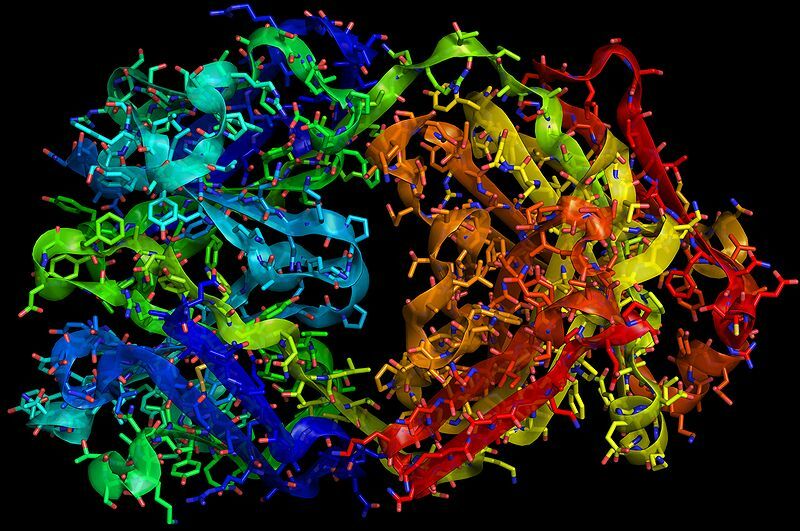 In this blog space I plan to cover a wide range of topics, spanning optics, biomedicine, technology, and other topics I think you might find of interest. The aim is to seek to entertain, enlighten, and stimulate thoughts. Your feedback is welcome, as are suggestions for future topics. In this introductory piece I want to discuss why it is hard to drive at night after it rains. The answer holds some perhaps surprising insights into the behavior of light. Well, let’s start by comparing some things. For example, driving in the rain is generally harder than driving in fair weather, for fairly obvious reasons: raindrops on the windshield, poorer tire traction, etc. But I am not interested in these at the moment (even though they do make it harder to drive). I’m interested in what happens even after it stops raining: for a while at least, the road is wet. Beside the already mentioned skidding hazard, what makes that condition difficult? Well, during the day, not much, by itself. In fact, a daytime drive after the rain clears the air of smog and other particulates can be absolutely delightful—desirable, even. But at night it’s another story. “Well,” you might say, “it’s obvious: it’s dark! Of course it’s harder.” Yes, but that doesn’t explain why it should be different depending on whether it has just rained or not. What happens after it rains? Well, the rainwater tends to form flat pools in the nooks and crannies of the pavement; even where it does not pool, it coats the irregular surfaces of the road, resulting in a wet surface that’s a lot smoother than what’s underneath. When light hits a smooth surface (as opposed to a rough one), it bounces off neatly and predictably: the subject of countless high school physics experiments the world over. This is called specular reflection (from speculum, Latin for mirror). And this, too, is a good thing, although unfortunately not in the context of driving at night on a wet road! Because specular reflection means that the light from your headlights is, mainly, going to bounce right off and move on forward, away from you. It won’t come back to your eyes, except in small measure (from those coated pavement surfaces which happen to be oriented just right to direct the reflected light back to your eyes; or from devices meant to do that, like cat-eyes and roadside reflectors). As a result, the road is a LOT harder to see, making driving quite a bit more difficult. Fig. 2: Reflections from dry and wet surfaces. and diffuse reflection into specular reflection. 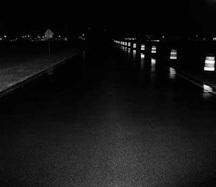 Driving at night on a wet road is made even more difficult by an additional consequence of specular reflection. 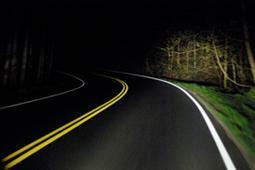 Just like the light from your headlights bounces off the road and moves forward, so does the glare from other cars’ headlights—except that, in their case, “forward” means “in your eyes.” With dry conditions, the only significant sources of light you have to shield your dark-sensitized eyes to are the oncoming cars’ headlights. With wet conditions, you effectively have a doubling of the problem. Some solutions exist to mitigate these issues. For example, 3M now offers for sale all-weather pavement marking products. These do increase road visibility; however, they don’t affect the extra oncoming-car glare. A somewhat rough pavement surface would be naturally impervious to specular reflection, and it wouldn’t require additional installations; careful design could also reduce or eliminate unintended potential consequences like higher noise generation from the tires of passing cars.